Our exclusive Warehouse 2020 report predicts major changes coming for the warehouse industry. We asked more than one thousand IT and operations personnel in the manufacturing, retail, transportation and wholesale market segments to share their insights and business plans over the next five years. The biggest challenge on the horizon? A need for “smarter” warehouses to help today’s connected consumer make instant purchases via multiple online touch points. In fact, the retail, wholesale, transportation and logistics sectors are adopting “best-of-breed” warehouse management systems that take automation to new heights—from mobile devices that increase the speed and accuracy of order picking to radio frequency identification technology (RFID) that creates real-time inventory visibility. Make sure your operation keeps pace with these sweeping changes. 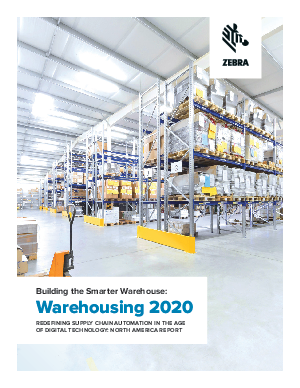 Read our free Building the Smarter Warehouse: Warehouse 2020 report.